One can’t deny that delicious room service is a fantastic luxury to wake up to in a hotel. Well, with our new Tasteologie features, i sent our editor, Jackson, to the newly opened Mondrian SoHo in New York for their press staycation… and we found they do breakfast deliciously! You can take a peek at the sketches and initial looks at the Mondrian Soho in our previous post. One feature takes a look into breakfast in the green garden like space of their Imperial No. 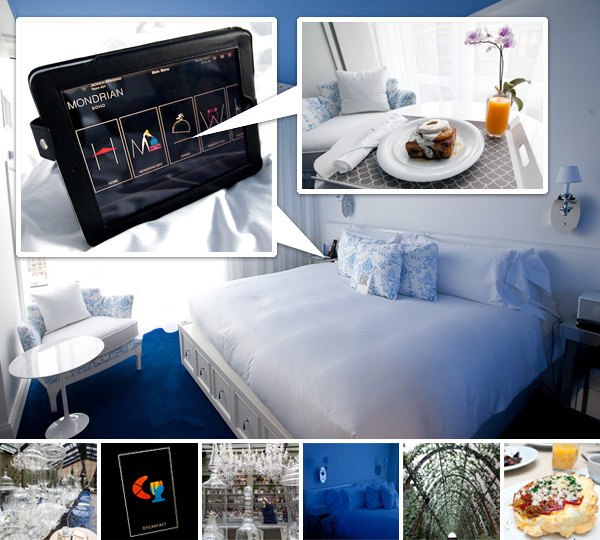 Nine restaurant… the second feature takes you inside the room - and the in-room first gen iPad, on which you can do everything, including order breakfast! Delicious and gorgeous, check them out here.